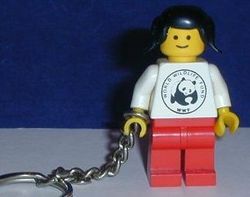 WWF Promotional Key Chain is a Miscellaneous key chain released in 1980. It shows the World Wildlife Fund's logo on the front. Facts about "WWF Promotional Key Chain"